I'm not sure if those with a PalmControl vise and the multi-coin holder know it, but the jaws of the coin holder will fit right on the jaws of the PC vise. Remove the bolts holding the pin-plates on the pc vise to remove them, and use the screws that came with the multi-coin holder to attach the coin jaws to the top of the PC vise jaws. 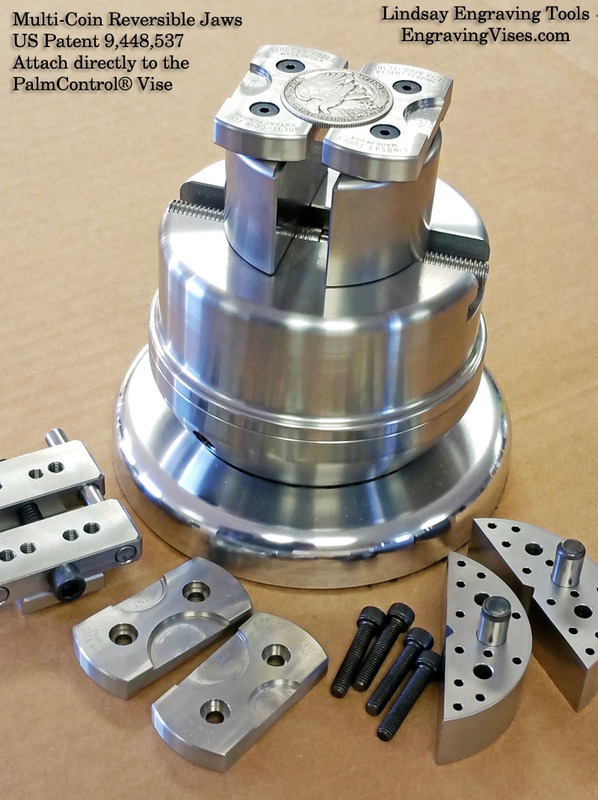 Hi, The multi-coin holder base has a block under it so that it can be clamped in any vise. 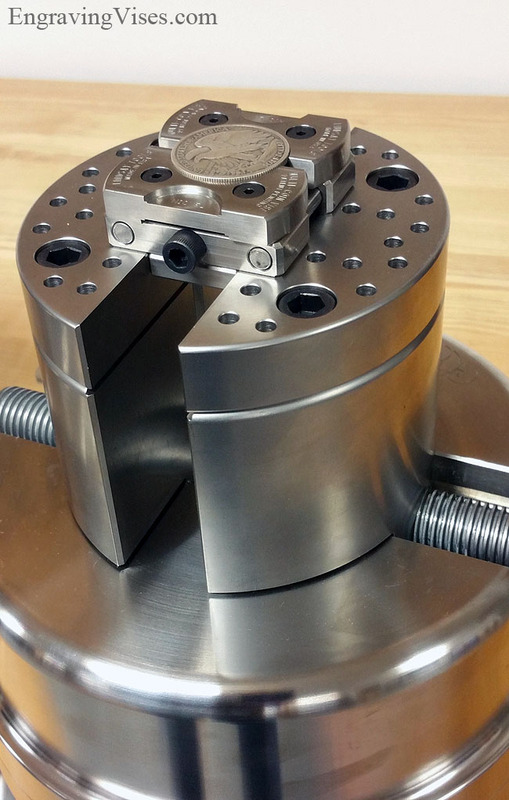 The coin jaws won't screw directly to the top of the Titan vise since the spacing of the bolt holes are different. An adapter plate could be made to do it though. It would have a set of holes for the vise jaws and a set of holes for the coin jaws. Here is a photo of the coin holder on the top of the pin-plates of the Titan. The pin-plates could be removed and then clamped in the main jaws too though.